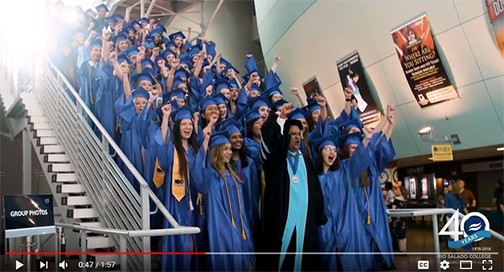 We hope this 40th-anniversary commemorative video tribute to the Class of 2018 inspires you to continue your educational journey-- and to encourage others to join you! “Success is an attitude and it is a process. It is an indication that you have made a choice to make the most of yourself and to develop your potential to the fullest.” -- Maricopa Community Colleges Governing Board Vice President Linda Thor. Learn about the extraordinary Class of 2018 in this RioNews blog.